Unpopular opinion time; I don't like Disney. As a child, I found the animal-based stories traumatic (who shows The Lion King to a child?! Bambi!?) and the princess-based ones frankly insulting (I need a prince to rescue me?! Well bugger that for a lark), and to be honest not much has changed. I know Disney princesses these days are a bit tougher and more able to stand up for themselves, or at least that's what I hear - I haven't actually seen Frozen or Tangled - but I still have the underlying issue that I also hate musicals. I know, I'm a terrible blogger. 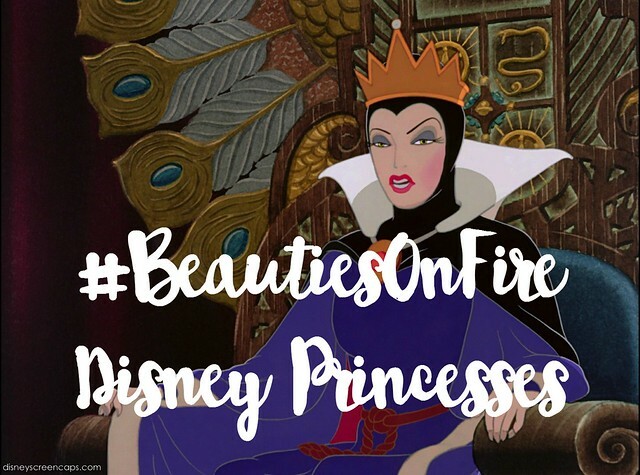 Anyway, the people have spoken in our Twitter poll, and this week's theme for the #BeautiesOnFire collab is Disney Princesses, so I guess I'll have to go with that, just this once... In my own way of course! [If you don't know what I'm talking about, check out my intro to the #BeautiesOnFire collab, and my previous posts.] I decided I'd go with a villain rather than a Princess, and my favourite villain is, without a doubt, the wicked Queen from Snow White - I think I was on her side to be honest! I've not had a whole lot of time to spare over the last few days, so I decided to go with a super-quick "inspired-by" make-up look which I threw on yesterday evening in about ten minutes, without even taking off my make-up from work. Actually all I did was my eyeshadow and add an extra coat of mascara... So we'll call this a wearable eye make-up look inspired by Queen Grimhilde, shall we?! 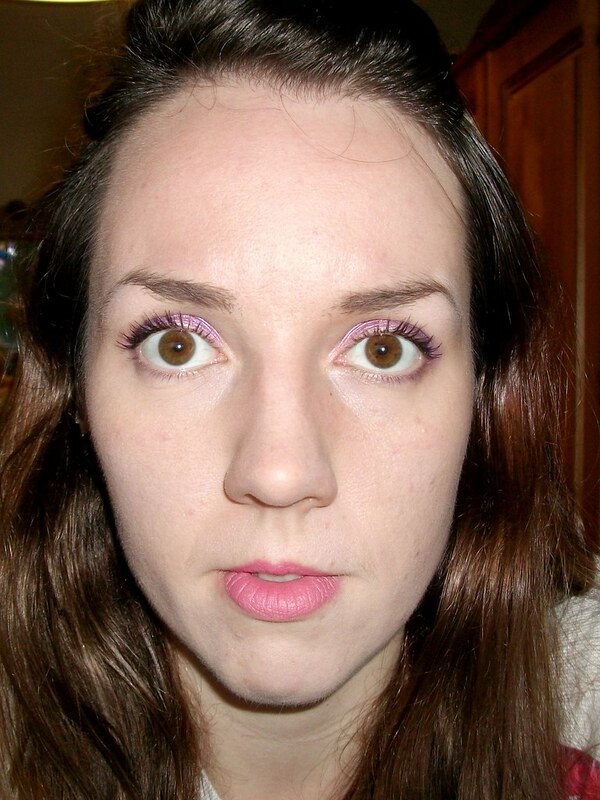 I started by priming my eyelids with a pink-purple cream eyeshadow from Models Own [side note; why am I, all of a sudden, rediscovering old, discontinued Models Own products!?] 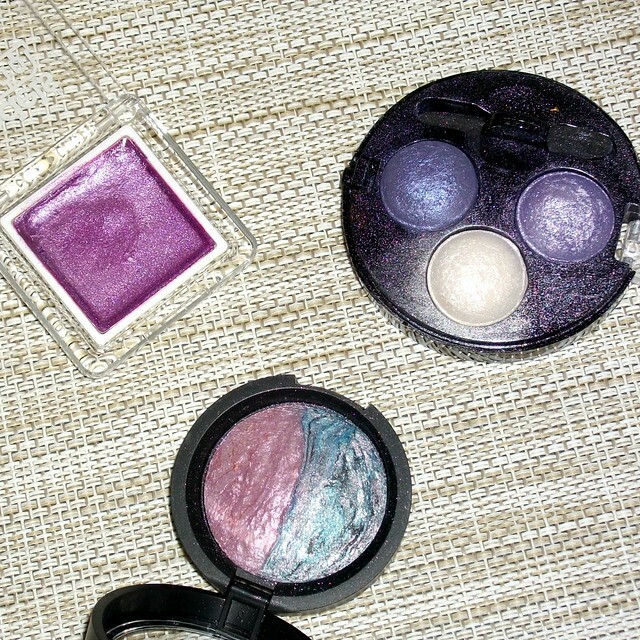 all over the lids, before patting on the purple shade from this gorgeous baked eyeshadow duo by Laura Geller. 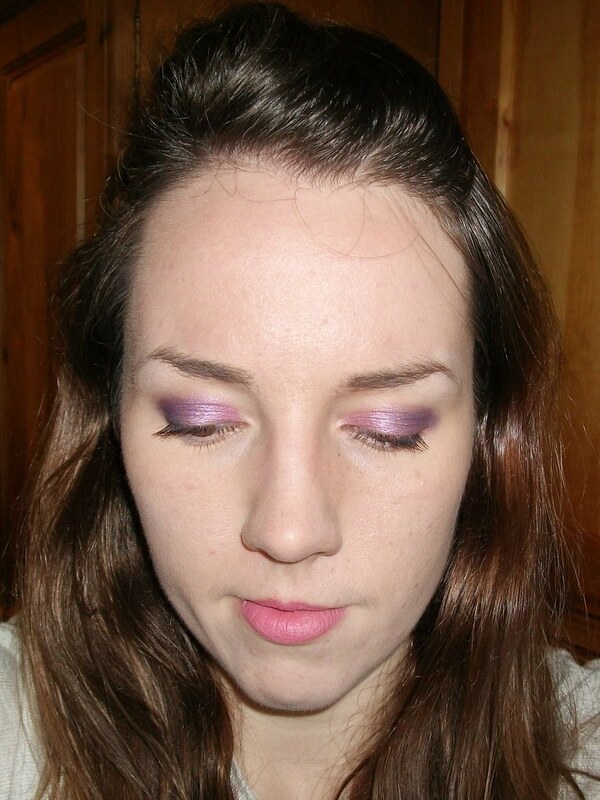 I then just deepened up the outer third and the crease with the two purple shades from this MUA baked eyeshadow trio, blended the whole lot out, and piled on a couple of extra coats of mascara. Ta-dah! I actually really like how this turned out, it's simple and wearable but it does still remind me of Grimhilde. What do you think? Which Princess (or villain!) would you choose for a Disney-inspired look? 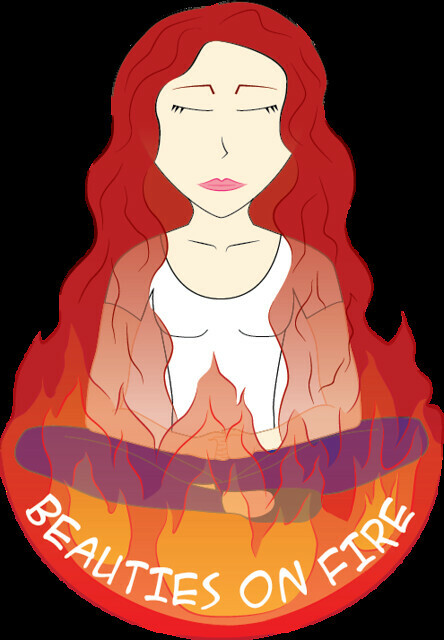 I'll add in the link-up below so you can check out all the other #BeautiesOnFire posts, and don't forget to take a peek at Elisabeth's post here! You can find all the details from Elisabeth's original post here! Those are nice colours - I really like the duo! that baked trio looks just like a Makeup Revolution one I have and love! I'm with you on Disney though, I don't need saving! I always had a soft spot for Ursula though, whatever did she do that was so bad? She was fabulous! I love the colours on your eyes! And what an awesome idea for a series. If only I could actually apply makeup well..Haha. Have to admit I love Disney, weak heroines and all. Love your make up, it's actually really pretty. Love your take on the theme girl!! This is a stunning look!! The purples are stunning!!! What a fab idea for a post! I'll admit I'm not a huge Disney fan either though! Gorgeous look! I love the eye makeup and how you've blended the colours. So pretty. Beautiful make-up and love those make-up color. Please visit my blog sometime dear. you rocked the hell out of that look, girl!!!! It's amazing! and I totally understand your points about Disney, I did still watch the movies(and still do lol) but I was way more of a Sailor Moon and Dragon Ball Z fan. Nevertheless, the look is amazing and you did great! What a great idea for a linky. Off to check some different looks. I'm not really a Disney girl, however, I have a daughter now and she's already received lots of gorgeous Disney dresses so maybe I will change my mind. Your make-up looks lovely! I'm not a fan of Disney beyond the childhood nostalgia. I do like how you blended your eye makeup - very pretty. I love this take on the princess theme! And the almost pink to purple fade looks gorgeous on your skintone! This is so pretty, I love makeup collaborations! Love the colors you chose! They blend together beautifully! I love the colours you used for your eyes, they're so pretty! The Laura Geller duo looks far too interesting, I feel as though I absolutely must have it in my life at some point.